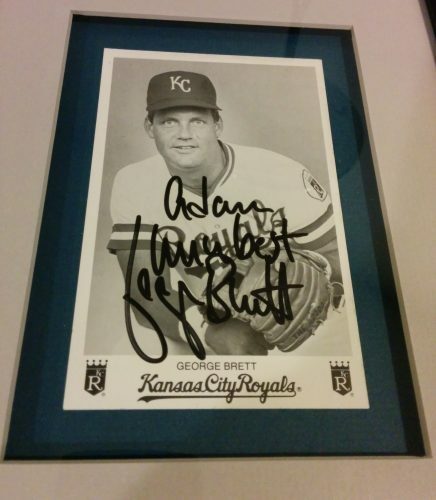 My dad was fortunate enough to meet George Brett at Allen Fieldhouse in Lawrence in the 80’s. He brought this autographed picture back home to me. Today seems like a good day share it.